This is a charming home located in the Red Rock subdivision. This home has three bedrooms, two baths, upstairs laundry and Beautiful vaulted ceilings. 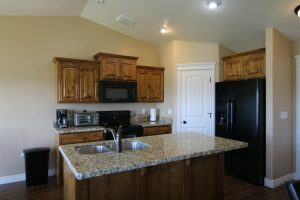 The kitchen has custom cabinets with granite counter tops, all appliances included. 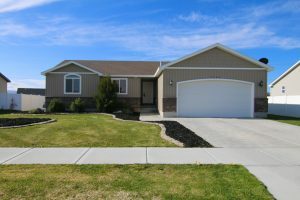 The kitchen has an open floor plan with an island sink, great for entertaining guest.The yard has great landscaping, a full sprinkler system, and vinyl fencing in the backyard. Seller is willing to leave hot tub and pool table.1151 square feet in the basement is unfinished, ready for your imagination. Convenient location near schools, shopping and endless outdoor entertainment.Come and see it today! Please contact us for a showing of this amazing home! Drone video coming soon! More pictures available upon request.